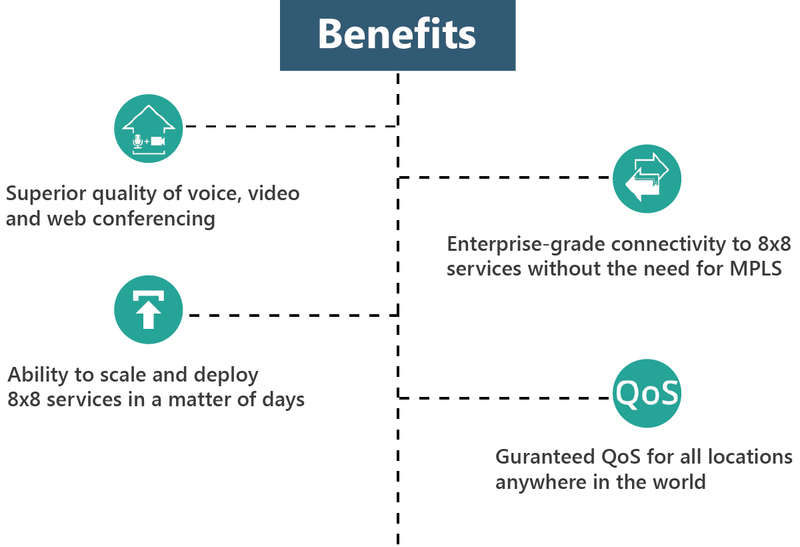 Aryaka’s Global SD-WAN and 8×8’s UCaaS (Unified Communications as a Service) deliver a superior quality of voice, video, and web conferencing to global enterprises. With Aryaka’s global private network, organizations obtain enterprise-grade connectivity to 8×8’s UCaaS without the need for MPLS. Aryaka’s SD-WAN capabilities reduce the jitter, latency, and packet loss common to the public Internet and deliver a superior end-user experience for all 8×8 customers and partners around the world. QoS for real-time communications: service prioritization, traffic shaping, and bandwidth reservation algorithms. Enterprise-grade connectivity to 8×8 UCaaS platforms, through a private network eliminating service interruptions and dropped calls. Intelligent last mile optimization ensures reliable voice and video performance to all locations, including those with poor-quality Internet links. Reliable & Secure — True enterprise-grade reliability with industry leading SLA: 99.99% of up time and the industry’s most complete set of security and privacy compliances, including FISMA, HIPAA, PCI and Privacy Shield. Enterprise & Global — Connect worldwide locations with 8×8’s 12 global data centers, which service 120+ countries across six continents.